Happy New Year's Eve furriends! glass of nip champagne with you! safe and wonderful New Year's Eve! my birthday even more special! Happy New Year to our favorite Meezers and your momma and dad too!! We hope 2010 brings you all lots of love, good health and much prosperity! I hope you have a safe New Year's eve. Nummy! thanks for the sips! Happy New Years sweet Meezers! And a belated Happy Birthday to your mom! 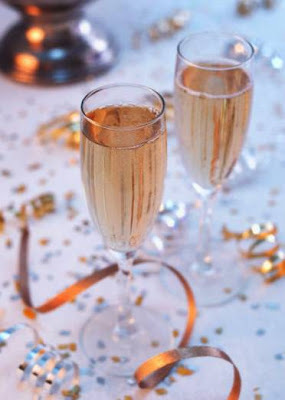 I think we will definitely take a sip of the nip champagne and toast to a fabulous 2010 for all of us! Happy, Happy New Year Meezers!! Oh and Happy Belated to your Mom! We are very happy to have met you & wish you nothing short of the best for 2010!! A happy New Year from Denmark. Thanks for the drink. China Cat & I are wishing all of you a Very Happy New Year! And a Happy Belated Birthday wish to your Momma!